This year’s SHEAR conference was my first, and as I reflect upon it I cannot help but note my appreciation for its intellectually invigorating atmosphere. As a junior scholar, it was exhilarating to see this community of historians jump off the pages of print and into the flesh, where they shared their work with candor and zeal. I consider myself fortunate to have attended SHEAR 2017, from which I departed with fresh ideas and lenses for future projects, not to mention the energy and inspiration necessary to reignite projects of the present. For those that were unable to attend this year’s conference, I and a few others provided live-tweet coverage of multiple panels under the #SHEAR2017 hashtag on Twitter. At the conference I covered three panels, and although they spanned across a vast array of topics — from the complexities of marriage to embroiled frontier legal trials — one panel in particular prompted me to reconsider what these varied presentations all shared in common. It was panel 16, Creating the Past in the Early Republic: Critical Perspectives on the Cultural Production of History and Memory, that inspired me to look at this variety of presentations not as connected through their examination of the same American past, but through the shared present moment in which they were produced. By the time Creating the Past concluded, I found that the panel had shifted my framework for examining the presentations I had and would see at SHEAR; for me, the panel accomplished this in two specific ways. First, Creating the Past’s discussion of historical methods in the Early Republic asks us to interrogate how we produce history in the present. The presentations of Michael Hattem (Yale University) and Karin Wulf (College of William & Mary) examined histories of antiquarians and genealogists, agents of the past who we still see in our present. The critical eye that both scholars lent to their subjects and to their subjects’ own interpretation of the past provided a crucial take-away for modern scholars of history — specifically one that asks us to take a similarly critical eye to the structures within which we “do” history. This point was perhaps most evident in Hattem’s presentation, which dissected intricate networks of exchange between historians, antiquarians, and their sponsors in the Early Republic. The network was a system of storing and sharing sources that imparted distinct challenges and biases upon historians of this period. As I listened to his paper, I wondered about how future historians will examine and critique our present methods of “doing” history, a question that only tugged at me further during Wulf’s paper on early New England genealogists. I found myself asking how we’ve come to define the parameters of real history in our present moment — a definition that often omits genealogy — and how valid these parameters actually are. How will historians 200 years from now sit in panels and turn a critical eye to our methods? Perhaps the more productive question to ask is whether or not historians of the present can take their ability to scrutinize the past and apply it to the current state of the field. Second, the panel redefined the way we should consider the connections between the past and the contemporary moment. To this point, I found Whitney Martinko’s (Villanova University) presentation particularly thought-provoking. Focused on rethinking the production of historic space, Martinko’s paper demonstrated that the current of change flows in more directions than one, a departure from the notion of a set past and an influenced present. Through her discussion of how historic spaces can take on near-sacred dimensions, Martinko shows an alternate way of conceiving of understanding the past/present dichotomy. It is an alternative that blurs the distinctions we typically assume of both. Instead of belonging to a static past, Martinko’s historic spaces only become a part of “history” by way of later periods when businessmen, preservationists, and the visiting public bestow value upon them — and it is a type of value that is defined less by the historical past itself, and more by the contemporary moments in which it is interpreted. This was a notion that held true to me when I thought beyond Martinko’s topic, and it began to bleed into my impressions of the other panels I attended at SHEAR. Even as I departed from the conference, I found myself mulling over fewer questions that were directly about the past itself. Struck by the wonderful complexities introduced by Creating the Past, I instead considered the tensions between different types of history, the growth to be achieved by greater self-reflection within the field, and the weighty influence of the present upon the past. Taken together, these considerations form the base for the newest critical lens I plan to carry with me as I approach fresh scholarship. As for my fellow scholars who are all focused on the past yet stuck living in the present, perhaps you will consider adopting it too. 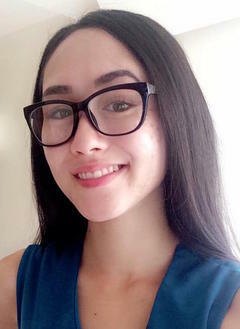 Makiki Reuvers is a Ph.D. student at the University of Pennsylvania. Her research focuses on the spaces of interaction between indigenous peoples and settlers on the southern Appalachian frontier in the late 18th century.